Sun Valley, CA (October 6, 2015) – Providing a trailblazing solution to the fit and comfort of traditional eyewear, SPINE – the rapidly growing innovative brand by REM – is elevated with six new additions to its collection. The benefits of SPINE frames are unrivaled. Constructed with a patented micro injection metal (MiM) hinge and cable system, SPINE temples flex in all directions and grip your face, keeping your frames where you want them, no matter what. SPINE temples also shut automatically when removed from the face. Inspired by the modern man who seeks high-quality, performance-based products that are also on-trend, the new fall 2015 SPINE styles fit the bill. Marvel-worthy elements include, but are not limited to, the sleek stainless steel metal front paired with rich-hued acetate temples on the SP2009, the sophisticated, retro-round silhouette on the SP5004 and the rich, two-layer gradient acetate throughout the SP5002. SPINE frames also feature signature details such as precision laser-engraved temple tips with a SPINE pattern inspired by the negative space between the vertebrae. This SPINE optical collection is available for purchasing today. For more information or to schedule a viewing with your REM sales representative, call 800-423-3023 or visit REMEyewear.com. The SP2009 is more than just eyewear; it’s an innovative masterpiece. Showcasing a stainless steel metal front paired with acetate temples, the SP2009 has a revolutionary patented SPINE hinge system and a suave laser-engraved signature SPINE pattern on its temple tips, a perfect frame for the man who values craftsmanship. 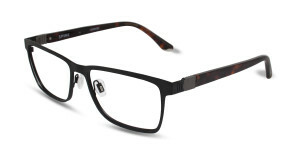 Available in Black/Tortoise, Navy/Tan and Gunmetal in 56/16/140. Exuding elevated style and ultimate functionality, the SP5001 is unmatched in design. 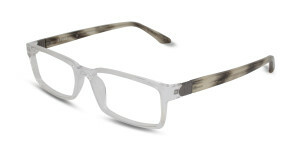 Offered in a sleek, rectangle silhouette, the acetate constructed frame features the highly acclaimed patented SPINE hinge system – providing the maximum comfort for its wearer – in addition to a laser-engraved signature SPINE pattern on its temple tips. 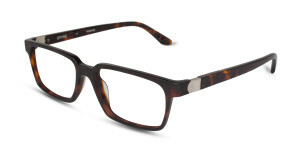 Available in Black Tortoise, Crystal and Matte Grey/Brown in 55/16/145. 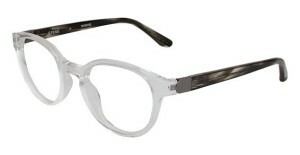 A standout frame in the SPINE collection, SP5002 redefines the benefits of traditional eyewear. Crafted with the ground-breaking patented SPINE hinge system, the SP5002 boasts a classic square shape, rich, two-layer gradient acetate throughout, as well as a laser-engraved signature SPINE pattern on its temple tips, raising the bar on design, comfort and fit. Available in Black Gradient, Smoke and Tortoise in 54/17/145. Inspired by the modern man’s desire to own products that serve a meaningful purpose in his everyday life, the SP5004 is the solution. Boasting a retro round shape, the SP5004 has a rich, acetate construction and thrives off of its innovative patented SPINE hinge system, and signature details such as the laser-engraved signature SPINE pattern on its temple tips, creating a design concept that combines technology and refined styling. 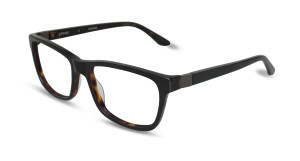 Available in Black Tortoise, Crystal/Grey and Tortoise in 48/20/140. The SP5005 marries the standard of excellence and attention-to-details. Featuring an acetate construction, and a classic, square shape, the SP5005 has a trailblazing patented SPINE hinge system that offers its wearer supreme comfort and fit. Topped off with a laser-engraved signature SPINE pattern on its temple tips, the SP5005 is the perfect alchemy between aesthetics and technology. Available in Black Tortoise, Matte Havana and Brown in 55/17/140. 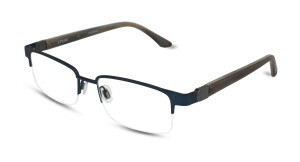 The SP6001 is a novel-worthy frame with timeless design. Crafted with a stainless steel semi-rimless metal front and acetate temples, the SP6001features the cutting-edge SPINE hinge system and a charming laser-engraved signature SPINE pattern on its temple tips, creating eyewear produced with passion, innovation and dedication. Available in Black, Brown and Navy/Tan in 53/18/140.